Episode 4 will be released on Monday May 21 (4pm est/9pm cet)! Click here to watch ep. 1 & 2. ** MI A GO FOREIGN! is a Work In Progress by Cindy Claes & Hanna Herbertson. The sit(dance)com is not a finished product. Hopefully both artists will be able to secure additional funding and support in the near future to take the project to the next level. 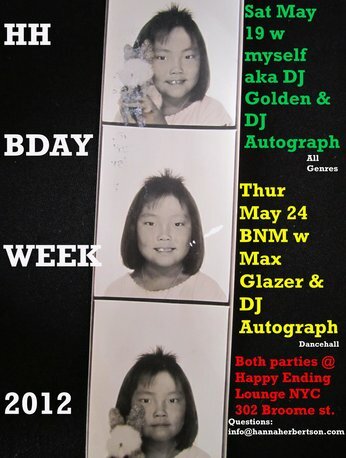 The birthday week celebrations starts tonightMay 19 at Happy Ending Lounge in NYC! Warming up for DJ Autograph from 10pm, party goes until 4am. 302 Broome st btw Eldridge & Forsythe. No cover, button ups for guys. 21 w id. All genres. Party #2 will take place Thur May 24, also @ Happy Ending. Brand New Machine Party w Max Glazer & DJ Autograph spinning dancehall all nite. No cover, 21 w id. Click here to find out more about where I DJ + info about other parties and events. From the corner of W Houston and Sullivan in NYC, some of the best selectors are broadcasting an eclectic music mix with focus on reggae and dancehall. Some of the selectors playing the peoples music night and day are DJ Autograph, Max Glazer, DJ Gravy (LargeUp.com), DJ Select, Boomshots, Johnny Wonder and many more. 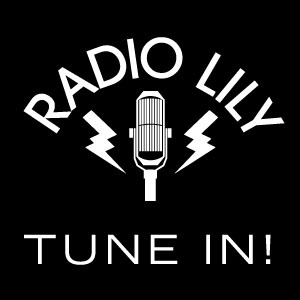 Tune in via the web, www.radiolily.com. Dancehall Fusion Class video RDX “Jump”, click here to watch. Blackgold Workshop at SUNY New Paltz. Vybz Kartel “Bubble Hard”, click here to watch. The reel showcases some of my music video and live show work I’ve done for clients like Opening Ceremony, Kat Deluna, DJ Webstar, Jim Jones, Sheba, Mad Decent and more… Click here to watch. FYI There won’t be any workshops or Monday classes in NYC early July-early August cause I’ll be travelling. Exact dates will be announced soon! Feel stiff when going out? Want to update your moves and “loosen up”? Start the weekend with a flavorful workshop. This class will be geared towards beginners and students who want to gain confidence when it comes to social dancing or those who simply want get lost in the spicy Caribbean beats. Studio Anya (49 W24th st btw 6th & 5th/B’way, 8th fl.). Click HERE to sign up for the June edition! 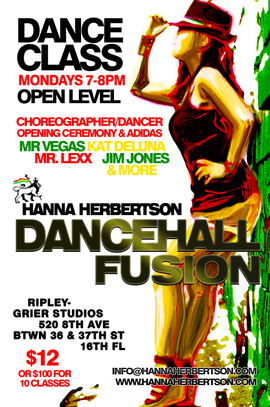 Location: Ripley-Grier Studios (520 8th ave btw 36 & 37th st, 16th floor). Price: $12 or $100 for 10-class card (cash only). Taking a private is the most effective way to learn. Hanna’s dance sessions are also a great way to get a workout, get both cardio and strength training. 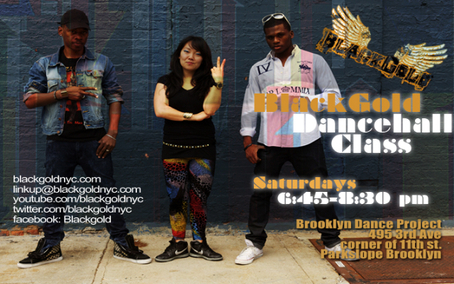 All levels and ages, beginner to professional dancer. Hanna will challenge you and get your confidence up and help you achieve your goals. Email her if you or someone you know wants to practice one on one or in smaller groups. Write what your goals with taking private classes are and your availability.